You might be able to resist scratching your dry scalp, but hiding the flakes is another matter. Using conditioner helps, just as topical creams and other treatments do. But many people don’t realize how much impact shampoo has. The way you wash your hair can diminish the negative effects of dry scalp. While some chronic skin conditions don’t have a cure, using a psoriasis shampoo can reduce itchiness. In fact, many of the best shampoos for dry scalp fight dandruff and associated conditions. In case you’re not familiar with psoriasis, it’s pretty common. It’s where skin cells produce and age too fast. They create irritated patches anywhere on the body, even above the hairline. Worse, scratching those patches can spread them to new areas. But no matter what the cause of your dry scalp is, you can manage it with a little TLC. For example, when you style your hair, don’t use the hot setting. Moreover, comb or brush the strands, not the scalp. When it’s time to wash your hair, brush it first to remove tangles. Then use shampoo to cleanse your scalp gently. As tempting as it may be, don’t scrub or scratch. Next, rinse thoroughly with cool water and apply plenty of conditioner. Allow this moisturizer to work for as long as the directions indicate. After that, rinse with cool water again and pat your hair dry with a microfiber towel or t-shirt. Avoid irritating your scalp by not rubbing it. 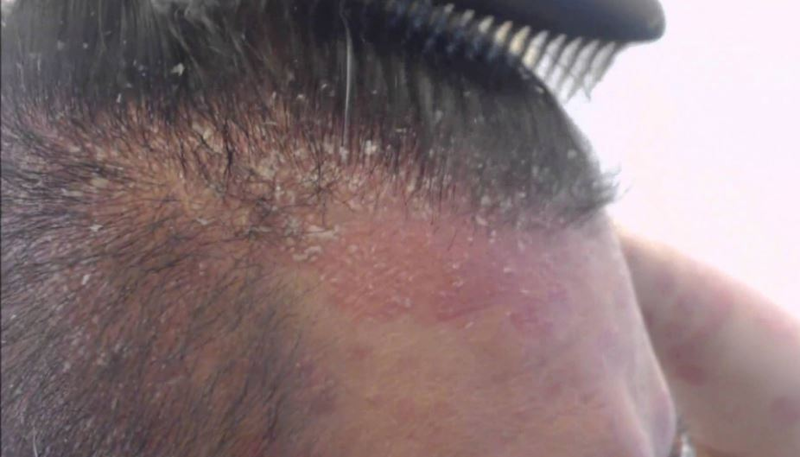 If you’re using a shampoo made to treat dry scalp, you might see positive results right after the first wash.
To sum up, you can minimize itching and flaking with the right shampoo. If you’re not sure which one is the best for your condition, consult with a doctor. Otherwise, it’s a safe bet to avoid products with sulfates that dry out the skin.